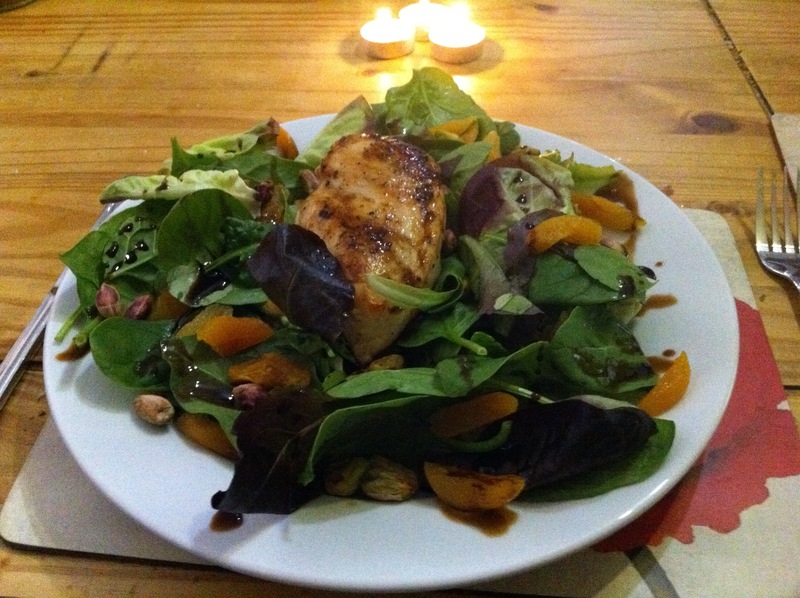 This is one of my favourite midweek meals, salad with seared chicken and a warm dressing. Fruit in savoury dishes is one of the things I love, so in winter I usually add dried fruit and toasted nuts. Today I used apricots and pistachios with a balsamic reduction – warm and comforting, but pretty healthy too. Since taking the photo, I’ve realised I was in such a rush that I’ve put the place setting the wrong way around – whoops! 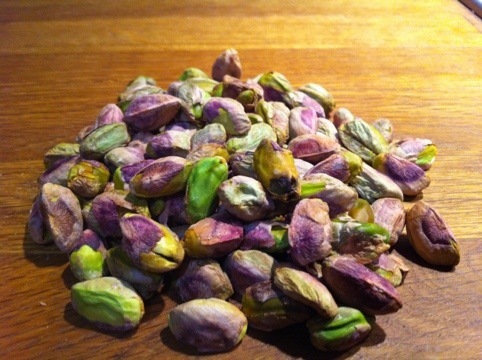 Aren’t pistachios the most beautiful nuts in the world! Your salad looks good. If my husband sets the table for me he often gets the utensils backwards. I just appreciate his help. Actually, if you are right handed the fork is right there ready to use…if you think about it.